Til middag i dag skal me prøva ei av Gitte & Filip sine oppskrifter, nemlig torsk med rotmos. Med bacon istadenfor chorizo, og med deilige marconamandlar. Tips tips! 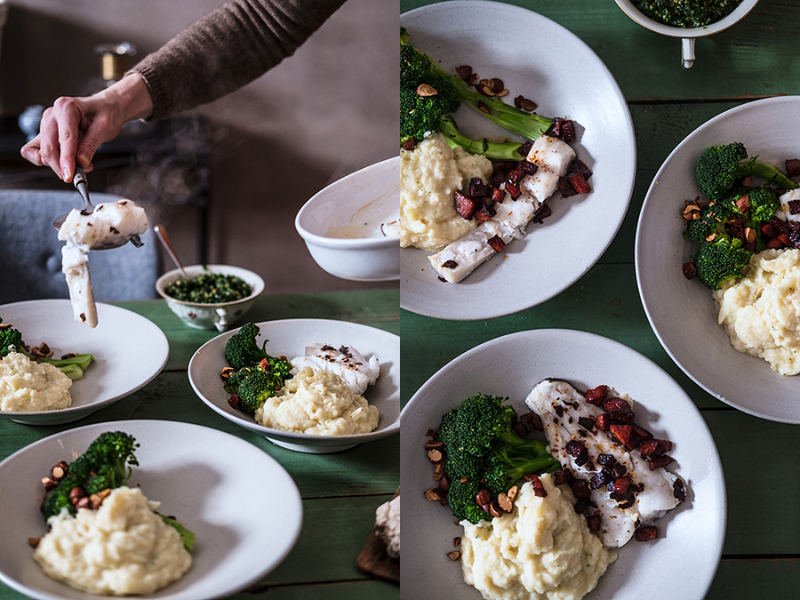 This is what’s for dinner today: cod with a mash of potato and parsnips. With bacon and marcona almonds. Mmm.